Like that sticker? See what kind of glass inspired it straight from the Stick at Ocean Isle Beach, NC. 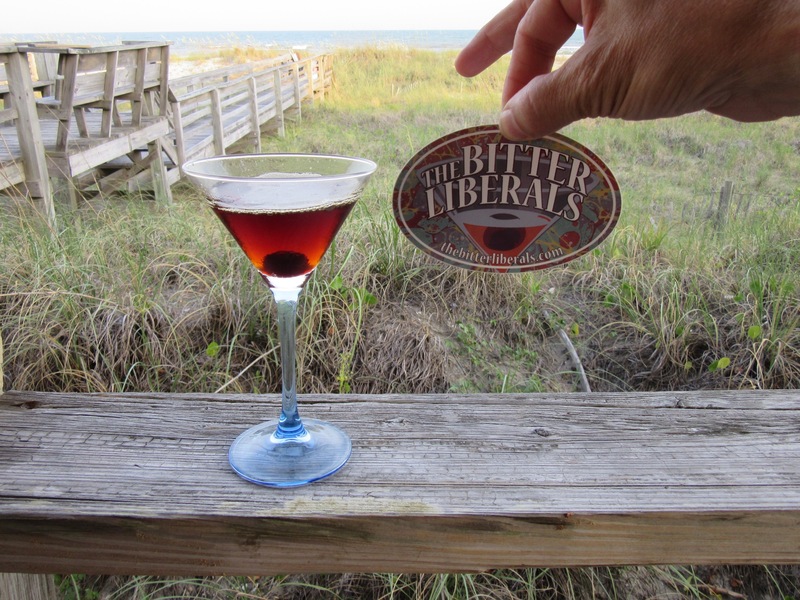 Yes, that’s a Liberal in that glass. See ya’ll in July. This entry was posted in band, bitter liberals, gig and tagged bitter liberals, bright box, CD, concert, entertainment, music, NC, Ocean Isle Beach, where's aubrey. Bookmark the permalink.